In 1964, Arno Penzias and Robert Wilson decided to use an ultrasensitive microwave antenna to study natural radio emissions from the Milky Way. But what they found instead was an annoying background static. It was there all the time, no matter where they pointed their antenna. They assumed that the problem was with their equipment and spent months trying to eliminate all possible sources of the static, including pigeon droppings inside their giant horn-shaped antenna. Finally they realized that the constant static really must be coming from the sky. Penzias and Wilson then learned from other astronomers that the microwave background radiation was an expected consequence of the big bang theory. According to the theory, the universe was born in a very hot dense fireball. As it expanded, the fireball cooled. Today, after billions of years of expansion and cooling, the energy of the original fireball remains only as a very faint glow of microwave radiation coming from all directions in the sky. The discovery of the cosmic microwave background radiation was the first evidence to support the big bang theory, and it convinced most astronomers that the theory was correct. In 1978, Penzias and Wilson shared the Nobel prize in physics for their discovery. 7 کاربر مقابل از Amin-Mehraji عزیز به خاطر این پست مفید تشکر کرده اند. American space scientist and astrophysicist who played an important role in the development of X-ray astronomy. After earning a Ph.D. from Johns Hopkins University (1940), he spent most of his career at the US Naval Research Laboratory. He pioneered observations of the X-ray sky using rocket-borne instruments. Although X-rays from the Sun were first detected in 1948 by T. R. Burnright, they were studied systematically from 1949 by Friedman and his colleagues, who observed X-ray activity throughout a full solar cycles of 11 years. 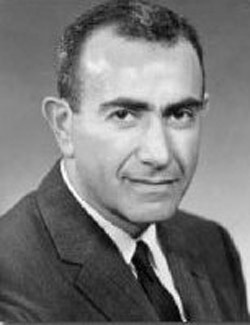 Friedman also studied solar ultraviolet radiation and in 1960 produced the first X-ray and ultraviolet photographs of the Sun. In 1965, his observations of an occultation of the Crab nebula by the Moon proved that Tau X-1, the second X-ray source to be detected beyond the Solar System, coincided with the Crab. 6 کاربر مقابل از هانیه امیری عزیز به خاطر این پست مفید تشکر کرده اند. Russian mathematician and physicist who formulated an early Big Bang theory. Born the son of a composer in St. Petersburg, Friedmann w as educated at the university there. 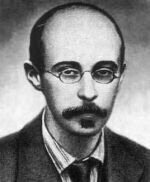 He began his scientific career in 1913 at Pavlovsk Observatory in St. Petersburg and in 1918, after war service, was appointed professor of theoretical mechanics at Perm University. In 1920 he returned to St. Petersburg Observatory where he became director shortly before his death from typhoid fever. Friedmann established an early reputation for his work on atmospheric and meteorological physics. However, he is best known for his 1922 paper on the expanding universe. This arose from work of Einstein in 1917 in which he attempted to apply his equations of general relativity to cosmology. Friedmann developed a theoretical model of the universe using Einstein's theory, in which the average mass density is constant and space has a constant curvature. Different cosmological models are possible depending on whether the curvature is zero, negative, or positive. Such models are called Friedmann universes. 3 کاربر مقابل از هانیه امیری عزیز به خاطر این پست مفید تشکر کرده اند. English astronomer, only son of F. William Herschel, who continued his father's observations of nebulae and double stars, and, in 1834, began a survey of the southern sky from the Cape of Good Hope. This survey,the first systematic observation of the sky in the southern hemisphere, yielded 2,307 nebulae and 2,102 double stars which he listed, together with his father's discoveries, in the General Catalogue of Nebulae and Clusters – the forerunner of the New General Catalogue. It was during John Herschel's time at the Cape that the great "Moon Hoax" was perpetrated. He was the first to notice the variability of Betelgeuse (1836), the first to measure the solar constant, and a pioneer of stellar photometry. 5 کاربر مقابل از هانیه امیری عزیز به خاطر این پست مفید تشکر کرده اند. German astronomer and mathematician who calculated the orbit of a short-period comet, now named after him Encke's Comet, and also has a division between the A- and F-ring of saturn, discovered in 1838, named in his honor. In 1811, Encke began his study of mathematics at Göttingen under Carl Gauss. In 1816 he moved to the Seeberg Observatory, Switzerland, to work as an observer and, in 1822, was appointed its director. In 1825 he was invited to become director of the Berlin Observatory and in 1844 he took up a professorship at the University of Berlin. He is best known for figuring out, at the suggestion of Jean Pons, the orbital elements of a comet found by Pons in 1818. 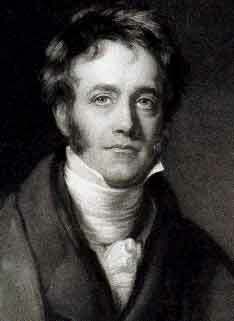 Pons suspected that one of the three comets discovered in 1818 had already been discovered by Encke in 1805. This comet was found to have a period of 3.3 years and Encke predicted its return for 1822. 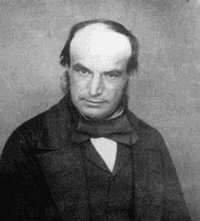 In 1846 Johann Galle discovered Neptune with the help of star charts edited by Encke. German astronomer and one of the first female astronomers to be recognized for her work. 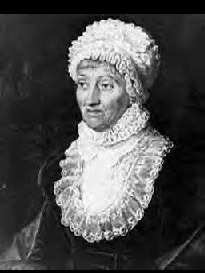 Sister of William Herschel and aunt of John Herschel, she was born in Hanover and raised to be the household servant, with little education. After her father's death, William persuaded his mother to let Caroline join him in Bath, England. So in 1772, she went and joined William in astronomical work. In 1783, she began to search for comets and discovered three new nebulae. Between 1786 and 1797, after her discovery of eight comets, she entered the scientific limelight herself. King George III was so impressed that he awarded her £50 a year. When William was made Court Astronomer after his discovery of Uranus in 1781, Caroline was appointed the first official female assistant to this position. She also revised John Flamsteed's star catalogue and published it in 1798 as the Index of Flamsteed's Observations of the Fixed Stars. 4 کاربر مقابل از هانیه امیری عزیز به خاطر این پست مفید تشکر کرده اند. Abu Jafar Mohammad Ibn Mohammad Ibn Hassan Nasir-o-Din Tousi (or known as Khajeh Nasir-o-Din Tousi) was born in Tous, Khorasan province of Iran in 1201 A.D. and died in 1274 A.D in Kazemain (in today Iraq). He learnt sciences and philosophy from Kamal-o-Din Ibn Yunus and others. He was one of those who were kidnapped by Hassan-e Sabah's agents and sent to Almout, Hassan's stronghold. In 1256 when Almout was conquered by the Mongols, Nasir-o-Din joined Halagu's service. Halagu Khan was deeply impressed by his knowledge, including his astrological competency; appointed him as one of his ministers, and, later on, as administrator of Auqaf. He was instrumental in the establishment and progress of the observatory at Maragha. In his last year of life he went to Baghdad and died there. Nasir-o-Din was one of the greatest scientists, philosophers, mathematicians, astronomers, theologians and physicians of the time and was a prolific writer. He made significant contributions to a large number of subjects, and it is indeed difficult to present his work in a few words. He wrote one or several treatises on different sciences and subjects including those on geometry, algebra, arithmetic, trigonometry, medicine, metaphysics, logic, ethics and theology. In addition he wrote poetry in Persian. In mathematics, his major contribution would seem to be in trigonometry, which was compiled by him as a new subject in its own right for the first time. Also he developed the subject of spherical trigonometry, including six fundamental formulas for the solution of spherical right-angled triangles. As the chief scientist at the observatory established under his supervision at Maragha, he made significant contributions to astronomy. The observatory was equipped with the best possible instruments, including those collected by the Mongol armies from Baghdad and other Islamic centers. The instruments included astrolabes, representations of constellations, epicycles, shapes of spheres, etc. He himself invented an instrument 'turquet' that contained two planes. After the devoted work of 12 years at the observatory and with the assistance of his group, he produced new astronomical tables called 'Al-Zij-Ilkhani' dedicated to Ilkhan (Halagu Khan). Although Tousi had contemplated completing the tables in 30 years, the time required for the completion of planetary cycles, but he had to complete them in 12 years on orders from Halagu Khan. The tables were largely based on original observations, but also drew upon the then existing knowledge on the subject. The 'Zij Ilkhani' became the most popular tables among astronomers and remained so till the 15th century. Nasir-o-Din pointed out several serious shortcomings in Ptolemy's astronomy and foreshadowed the later dissatisfaction with the system that culminated in the Copernican reforms. In philosophy, apart from his contribution in logic and metaphysics , his work on ethics entitled Akhlaq-e Nasri became the most important book on the subject, and remained popular for centuries. His book Tajrid al-Aqaid was a major work on al-Kalam (Islamic Scholastic Philosophy) and enjoyed widespread popularity. Several commentaries were written on this book and even a number of supercommentaries on the major commentaries, Sharh Qadim and Sharh Jadid. 3 کاربر مقابل از رخساره روشنی عزیز به خاطر این پست مفید تشکر کرده اند. Formed a design at the beginning of this week of investigating, as soon as possible after taking my degree, the irregularities in the motion of Uranus, which are as yet unaccounted for, in order to find whether they may be attributed to the action of an undiscovered planet beyond it; and, if possible, thence to determine the elements of its orbit approximately, which would lead probably to its discovery. Having graduated brilliantly (with more than double the marks of his nearest competitor), he focused his attention on the problem of the trans-Uranian planet. In October 1845 he gave his predicted position for the new world to George Airy, the Astronomer Royal. But Airy procrastinated for nine months until he heard of a similar claim by Urbain Leverrierr. He then instigated a search, but the race was lost: Neptune was found in 1846 by Johann Galle using Leverrier's figures. Adams remained silent throughout the bitter ensuing debate that established his precedence in the discovery. Although eventually he was offered a knighthood and the post of Astronomer Royal after Airy, Adams turned them down and remained at Cambridge as director of the observatory. He began studying astronomy at the request of the Catholic Church. Since Riccioli was a Jesuit astronomer living in the Roman Empire, he had access to astronomical knowledge gathered by Jesuit students in India and China. This knowledge was very useful because Chinese and Indian astronomers tracked lunar and solar eclipses and made detailed maps of celestial objects. This is where the Moon enters our story. With the information he had access to, Riccioli's friend Francesco Grimaldi created the most detailed lunar map known at that time. What does that have to do with John Baptist Riccioli? He published the map of the moon in a work called Almagestum novum. He published this work in order to discredit the Copernican theory of Heliocentrism. The reason he opposed the ideas of Nicolaus Copernicus is because the Catholic Church at the time believed Earth was at the center of the Solar System. 5 کاربر مقابل از Amin-Mehraji عزیز به خاطر این پست مفید تشکر کرده اند. Giovanni Domenico Cassini was born at the 8th of June 1625. Until 1650 he studied in Genua and Bologna and became (in the year of the death of Christoph Scheiner) professor for astronomy and mathematics at the university of Bologna. He let built an observatory on the tower of the church St. Petronio and was mainly interested in the observation of comets. 1663he was ordered to fortify the citadel of the Italian town and archbishopric of Urbino. But while doing this he also continued to do astronomy, so he calculated the deformation of Jupiter and its rotation time. He watched the phases of Venus, discovered by Galileo Galilei (1564-1642), and also refined the visible surface marks of Mars. So besides of the Great Syrte discovered by Christiaan Huygens he discovered the polar caps of the red planet. 1668 the "sun king" Louis XIV. called Cassini to Paris as an observer to the academy of sciences. Here latest he met personally the university professor Christiaan Huygens. Cassini - now Jean-Dominique Cassini - became director of the Paris observatory, but this palace like building was not ready before 1672. Before the completion of the observatory some of the astronomical instruments, made by Giuseppe Campani arrived 1671 in Paris. These were up to 40 meter long refractor telescopes. Just in the presence of Huygens, the discover of Titan in 1655, Cassini saw another moon of Saturn: Japetus. The moon consists mainly of ice and has the special feature at the surface that nearly one half is very dark. Because of this the moon has a magnitude of around 10 at western elongation, while at eastern elongation it is about 2 magnitudes dimmer. This fact Cassini discovered at continuing observations of "his" moon. The dark area on Japetus, possibly originating by dark dust, is called after his discoverer Cassini region. 1672 Cassini together with Jean Richter (1630-1696) could made parallel observations of the Mars in Paris (France) and Cayenne (French Guyane), using this observation for the indirect determination of the solar parallax as of 9.5 arc seconds as a first approximation. The solar parallax is the virtual shift of the Sun at the sky when seen from two maximum different positions near the Earth equator. The real mean value of the solar parallax is 8.8 arc seconds and can be used for the correct determination of the distance Earth-Sun. Also in 1672 Cassini discovered Rhea. This is another Saturnian ice moon, which has a mean brightness better than Japetus. With Rhea 8 moon and 6 planets of the solar system were discovered - 14 celestial bodies circeling around the Sun. Cassini interpreted this as a glorification of is chief Louis XIV., so maybe this was the reason that it lasted twelve years before Cassini still as the director of the Paris observatory announced the discovery of two more moons of Saturn: Dione and Tethys. These are a half magnitude dimmer than Rhea, but they are also about a half magnitude brighter than Japetus in eastern elongation. In the meantime in 1675 Cassini was able to sign also for the discovery of the main 4450 kilometer gap within the Saturn rings, the Cassini division. Another discovery of Cassini is the zodiacal light, an exaterristical sky illumination on the ecliptic plane caused by interplanetary dust and the reflected sunlight within the dust. He assumed this zodiacal light as the pointer from the Christmas star to the stable of Bethlehem as within the gospel of Matthew. At the 14th of September 1712 Cassini died in Paris. His son Jacques Cassini (1677-1756) became director of the observatory of Paris, then. 6 کاربر مقابل از Amin-Mehraji عزیز به خاطر این پست مفید تشکر کرده اند.